September is a very important period for international billboard art as this is when the only billboard art festival has been held for six years. 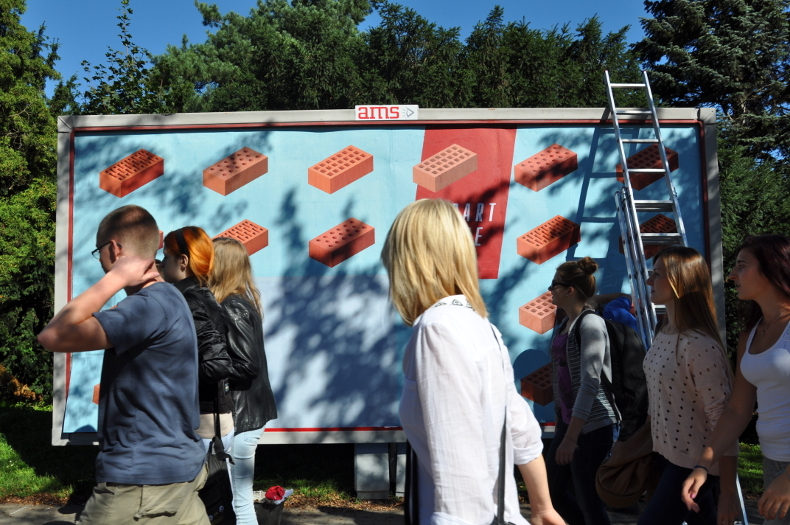 It is organised by the artists from Galeria Rusz, Joanna Górska and Rafał Góralski, who have been running the billboard gallery in Toruń, Poland for fourteen years. This is the longest-running billboard gallery in the world. This unique experience influences their works as well as the shape and form of the Art Moves festival, which focuses on the idea of reflective art. This art tries to analyse the existential and social situation of contemporary individuals that live in a very rapidly changing and increasingly global world. The festival presents works referring both to social phenomena and psychological processes that influence individuals’ and societies’ lives. The 6th edition of Art Moves Festival focused on the community matter and on the complicated relation between an individual and a community. Currently, we are experiencing crisis; however, it is not only, as it may seem, economic crisis but it has a wider significance – social and cultural. On the greater level we deal with the community crisis. In the state of crisis, there are also big communities such as European Union, as well as particular state communities and micro communities, for example, family. Some forms of community are in crisis, others thrive. Such new forms of communal coexistence certainly include all kinds of the Internet communities, for instance, social network which achieves a triumph of popularity. The question about community and the relation between this what collective and what individual is truly up-to-date. We shown a lot of interesting works concerning this topic on the festival. A sector devoted to Iranian art held a special place in this edition’s show – we presented the works of as many as 5 artists from Iran. On the one hand, contemporary Iran is a country where problems and tension between the individual and the community become apparent in an extremely dramatic way. On the other hand, this is a place that radiates creative energy. In Iran it has not been forgotten what art is used for! That reminds us of the situation in Poland behind the Iron Curtain – despite being isolated and separated from the rest of the world, Polish culture was developing at a very rapid pace and radiating outside. This is when the Polish School of Posters and the Polish Film School were established, and culture did not come down to simple entertainment. First and foremost, it was the language of resistance, communication and “discussion” about important issues. In this edition of the festival, we exhibited works of 19 artists from 9 countries. 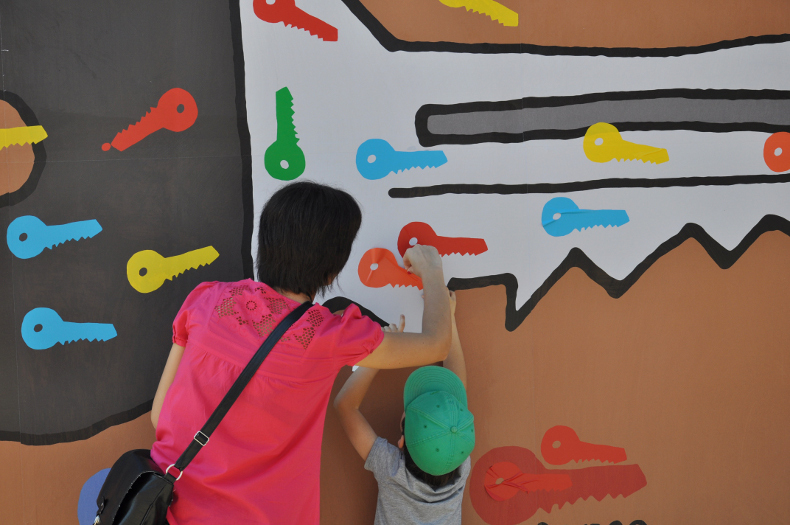 The works presented in the urban space during the festival were divided into two categories – the main exhibition and the competition exhibition. The official opening ceremony of the festival took place on September 6, at 12 pm on Rapacki Square, Toruń, Poland. 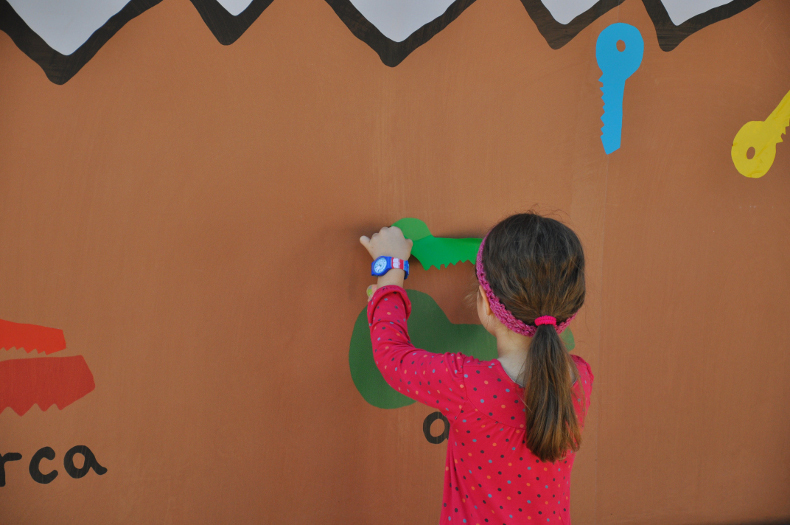 The event was accompanied by the artistic performance of Galeria Rusz. 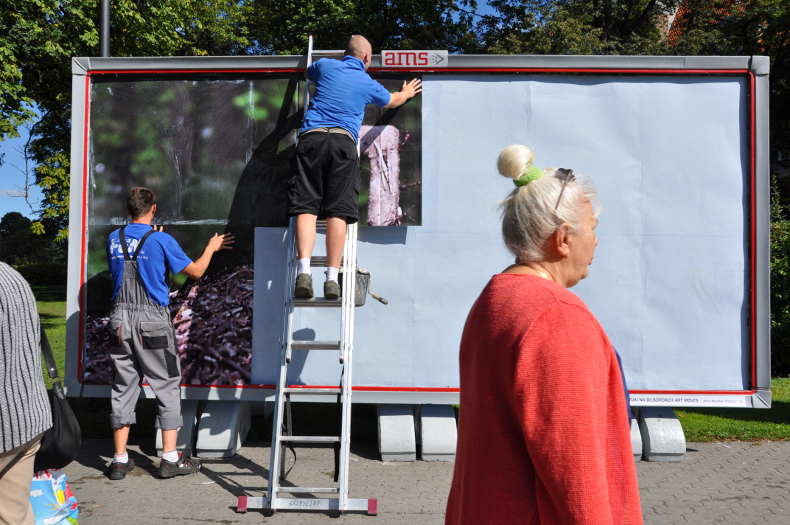 From September 6 till October 7, 20 art works were exhibited on specially prepared billboards on Rapacki Square, as well as LED displays. 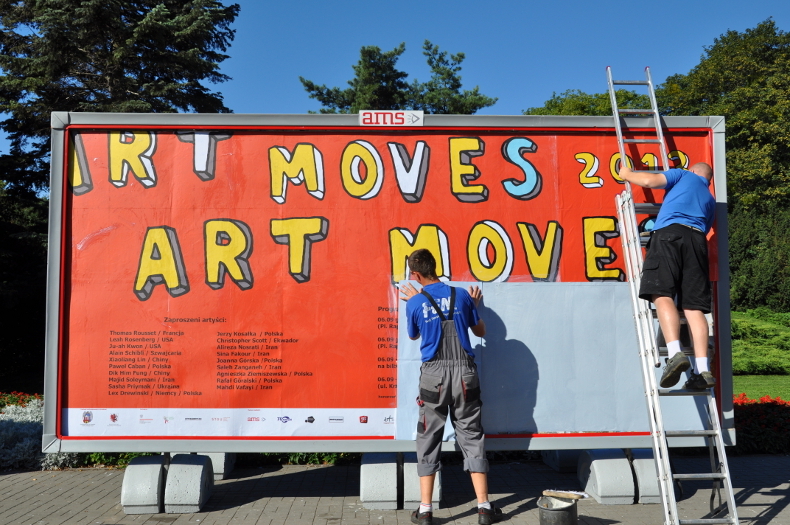 Art Moves Festival was held under the honorary patronage of Juliusz Gojło Ambassador Extraordinary and Plenipotentiary of the Republic of Poland to the Islamic Republic of Iran and Michał Zaleski, President of Toruń. 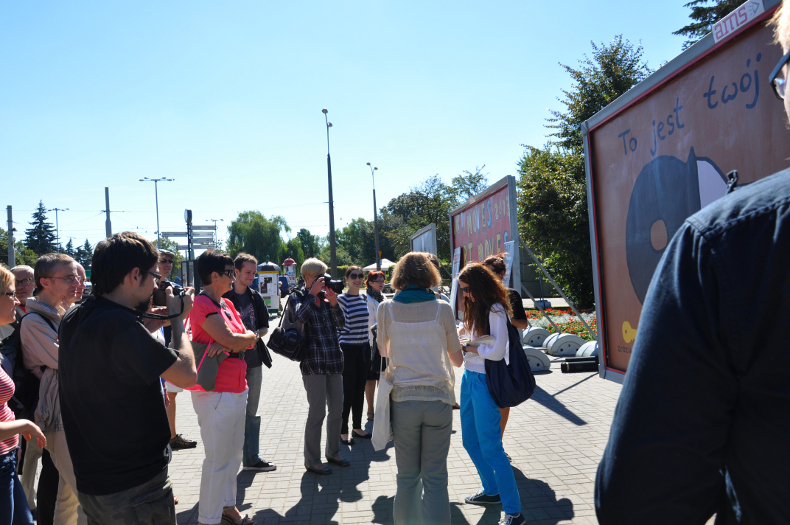 The festival has been co-funded by the Local Authorities of Kujawsko-Pomorskie Region and Toruń Municipality. 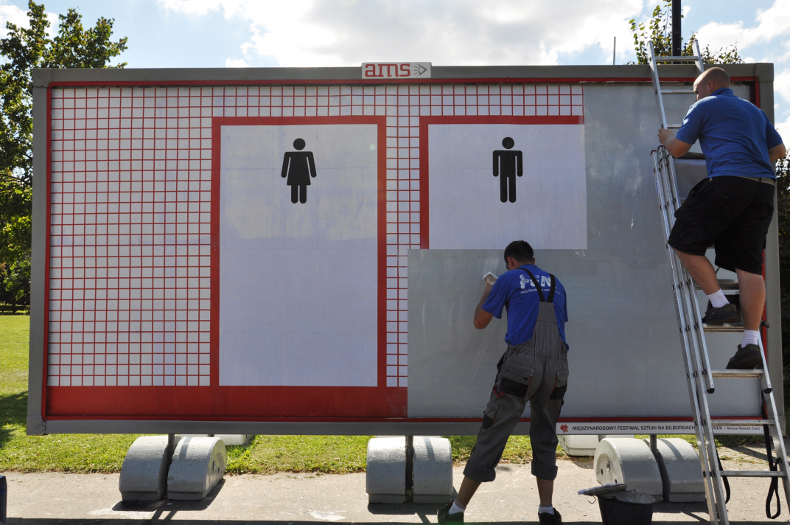 The art works on Rapacki Square and Chopin Street are displayed on AMS SA billboards. Media sponsorship: AMS SA., aktualnekonkursy.pl, graphiccompetitions.com, Artysta.pl, TV Toruń, Radio Pik, Arteon, Artluk, rynekisztuka.pl, Design Attack, Independent.pl, O.pl, kampaniespołeczne.pl, gdziesiewybrac.pl, maszwolne.pl, marketingprzykawie.pl, cowtoruniu.pl, kulturalnytoruń.pl. 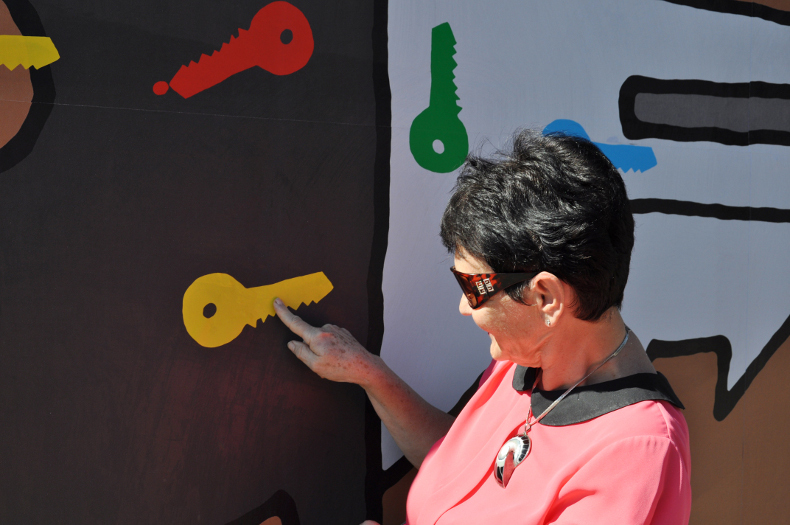 The participants of the action „The Key” have decided that the most important is the key to one’s heart – as many as 47 votes. 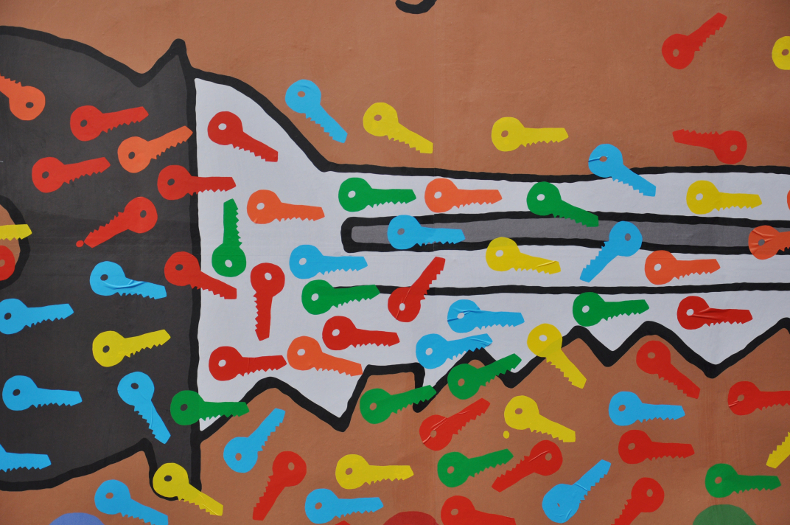 The next important key is the key to success – 37 votes, whereas for 27 people the key to understanding is the most important. Keys to one’s home and inner self got ex aequo 21 votes. Thank you for taking part in the action and great fun!